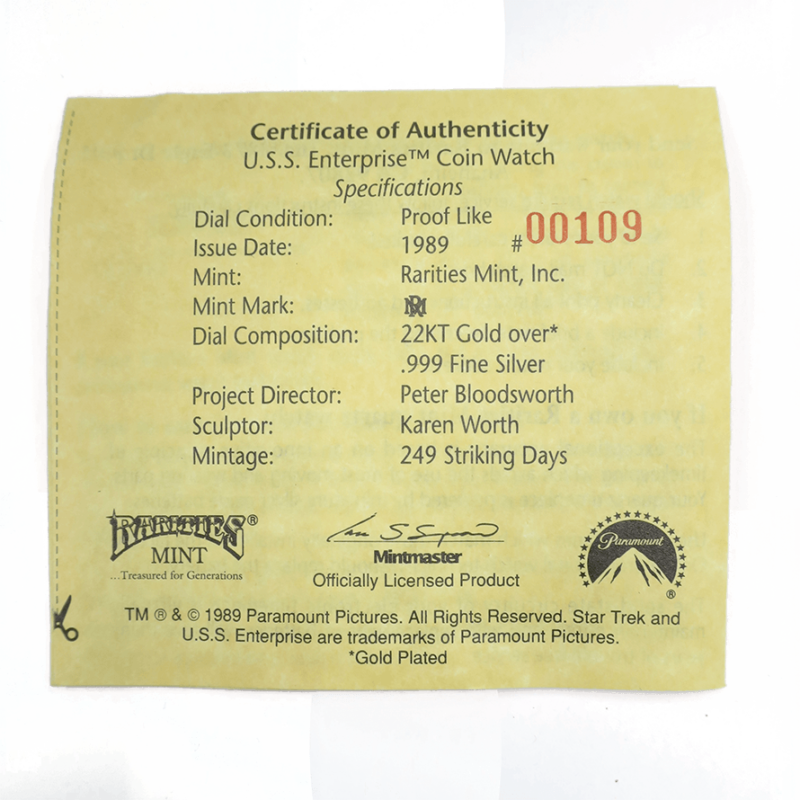 Rarities Mint U.S.S. 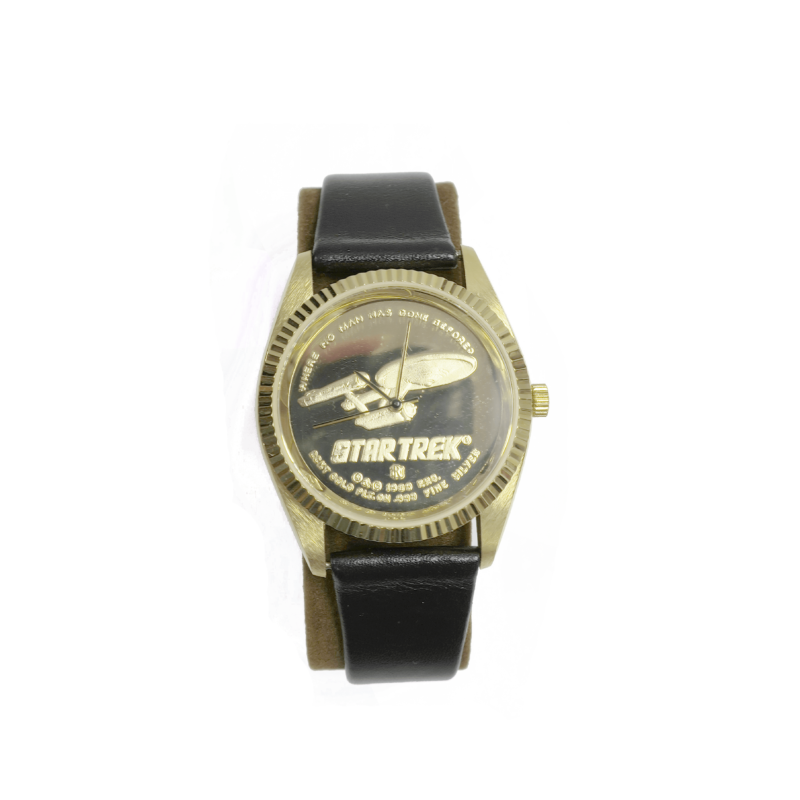 Enterprise Coin Watch. Rarities Mint was the exclusive manufacturer of coins for Disney and Warner Bros. This U.S.S. 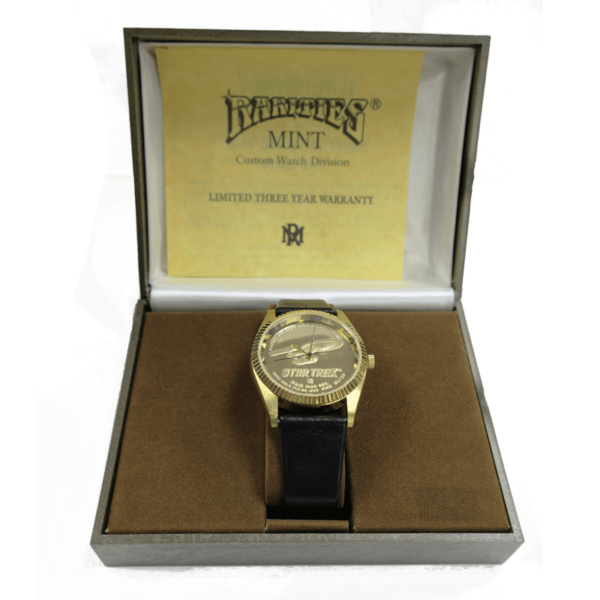 Enterprise Limited Edition Coin Watch is a .999 proof-like silver coin plated with 22KT gold depicting the U.S.S. Enterprise NCC-1701, as seen in the original Star Trek TV series airing from 1966-1969. Above the Enterprise are the words “Where no man has gone before”. It is a new, never-worn watch in its original box, complete with a Certificate of Authenticity. This watch is numbered 109; approximately 500 were produced. The watch was manufactured in 1989 as an officially licensed product of Paramount Pictures. It features a textured leather band measures 1.25” across the face.